Mik wasn't interested in going on any rides this morning after two rounds of Buzz Lightyear. However, he still wanted to hang out in the parks long enough to get lunch. Thus, we wandered over to the castle for him to visit the dwarfs, which he likes doing and for once there wasn't some character hanging out over there and we got to really enjoy it including seeing the whole fountain show. 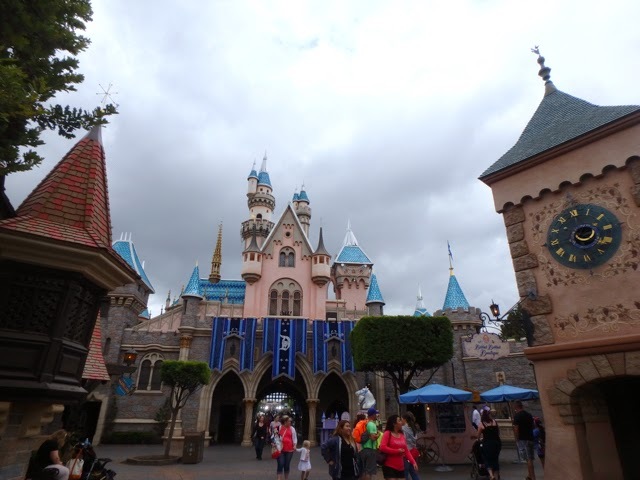 Then I remember there was the accessible version of the castle walkthrough, which we've never done before. 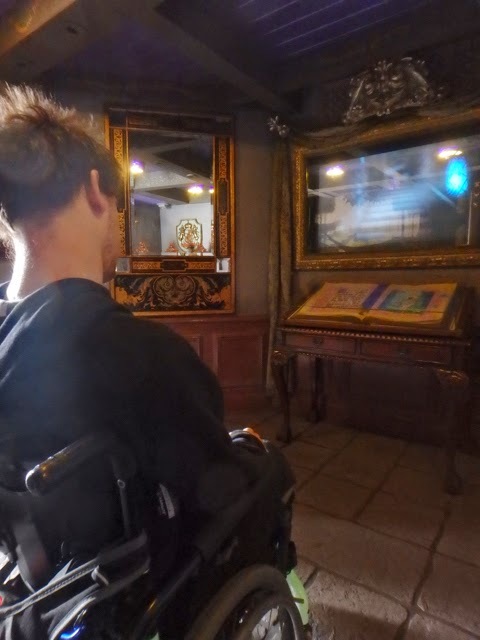 The accessible experience is located in a room off to the left of the path through the castle when looking at the back of the castle. 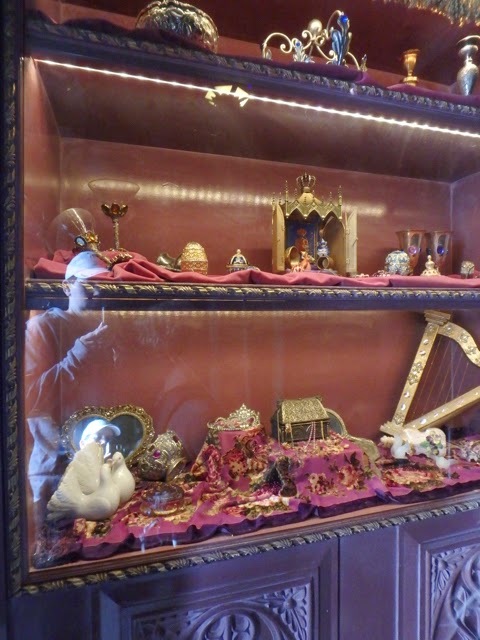 The room is decorated with things that fit the theme including a case of royal crowns, jewels, and trinkets and a royal seeming bench that you can watch the virtual walkthrough from. The virtual walkthrough is a video that plays on loop. It is basically an animated version of going through the attraction and the story is read aloud as well as shown with captions on the screen. It is really well done and Mik thought it was good for what it was, but we only watched a little bit of it because he just isn't interested in Sleeping Beauty at all.